“No!” Aahhh. A favorite word among toddlers. A frustrating word among parents. Many parents are thrown off when their sweet child one day responds “no!” when told to do something. What do you do when you give your child an instruction and she replies “no”? The exact course of action, of course, depends on the age of the child. First, let’s discuss what happens when you give instruction and the response is no. I would then wait for the child to comply. Now, you have to mean it when you say these things. When you tell your child she can’t talk to you that way, you have to believe it yourself. You also want to remain even-tempered. Say it like you mean it and like you are in control of the situation. Be matter-of-fact. Look at your child and wait for her to comply. Some children will then comply. Of course, not all direction is telling a child to go somewhere. If you are telling your child to stop doing something, you might end the story by removing him from the situation. Let’s take this a bit more age specific. Read through each age because I build on it all. With this age group, expect that you will tell them to do something or stop doing something and they will not listen. Nothing to stress about–that is normal. Give the child a simple, one-step direction. Call the child by name and wait for her to look at you. Then give the direction. Most children in this age group won’t be saying “no” and continuing on their merry way. Most will simply look away and continue with what they were doing. Some might scoot right out in the other direction–laughing as they go. Even though they aren’t saying no with their mouth, they are saying it with their actions. You might give another chance and wait for her to obey. You might move right on. When she doesn’t listen (not if, when), you go to her immediately and stop her from doing what she is doing or bring her to do what she should be doing. Is she touching something she shouldn’t? Tell her not to. If she keeps touching, go pick her up and move her somewhere else. The logical consequence in that is that she is moved. Tell her “We don’t touch the xyz.” Then, give her something else to do. Distract. Redirect. Are you at church or the park and she is moving away and not coming back when told? Get her and hold her on your lap. Her logical consequence is she doesn’t get to be down. If she can’t listen when she is free, then she will sit on your lap. The key with this age group is to make the obedience happen. Don’t tell them no and then allow them to keep going when they decide to not listen. If you know you will do that, it is better to not say no at all. Give the direction, if they won’t obey, help them obey. Then direct the attention elsewhere. Redirect and distract. Much of the baby suggestions apply. There will be a lot of testing going on. Baby will do things just to see if you will say no. She will ignore you to see what happens. She will also really want to continue her fun, and listening will mean she has to stop it. First, get your child’s attention by calling her name. Establish eye contact. You give your “you don’t have the freedom to..” speech and re-give your instruction. Now you move to helping her obey. You might have to hold her on your lap until she is ready to listen (like I did with Kaitlyn during her first mini-fit). You might have to pick her up and take her where you want her to go. You might have to remove her from that basket of pine cones. You might even have to stick her in her high chair until the dishwasher is loaded (yep, did that with McKenna two nights ago). Right now, you are working on establishing right habits. You don’t want them to learn they can sometimes ignore you and you will let it slide. If you sometimes let it slide, why would they ever listen? They would always find it worth their time to give ignoring you a shot. They are testing testing. But they are also young. They are still learning. They also don’t care about much. You can’t “take a privilege away” from a pre-toddler. That is why you give the instruction, then help them obey. With this age, still offer distraction and redirection. You also want to introduce substitution. So your logical consequences here are that the child is not allowed to continue doing what she is doing and/or she is required to do what you told her to. You might also have some sort of a “time-out.” I did something like this with the highchair. I was unable to physically prevent her from pulling dishes out, so I put her in the high chair. If I had been able, I probably would have held her in my lap for a while so she would get a more clear message that what she was doing wasn’t okay. If something is being misused, I would also take that away. Say she is hitting the dog with a toy. Tell her to stop. If she doesn’t, take the toy away. You might even take the dog away. (not forever, just put the dog somewhere out of her reach). Make it clear she needs to listen. But don’t think keeping the toy away for a week is going to make any more of a statement than keeping it away for an hour or until the next nap is over. Her memory is not that strong and she doesn’t care that much. This is a large sway to group together. If your child is closer to the 18 month mark, stick with the pre-toddler recommendations. If your child is close to three, consider the preschooler recommendations to see if those are appropriate for your individual child. Your toddler tells you no. For the younger toddler, one of the most precious things to her is the ability to move around on her own. If she won’t obey, and you carry her instead of letting her walk, that is one of the most devastating things in her world right now. If she is misusing something, then she loses it for a time. The length will vary based on age. Go with your gut. Have it be long enough to make an impact, but not so long that she forgets about it. Then it is like a great gift when she gets it back (kind of like when you find money in your pocket. You feel like you suddenly have more money…but in reality you don’t). I would say anywhere from a day to 7 days would be appropriate in this age group. As your toddler gets older, she will better understand consequences for her actions. If she is playing with toys and you tell her it is time to clean up and she says no, then perhaps a loss of those toys is appropriate. So, you give your instruction. You give the now well-known “you don’t have the freedom to…” or “that actually wasn’t a request…” and re-instruct. She says no again. You then consider what she is misusing. If she is refusing to end and activity, then she might lose that activity. If she has an activity she loves that is in her future for that day, she might lose that. If she won’t walk, you carry her. Logical consequences get easier as the child gets older. The child cares about more, so you have more to work with. But do always remember context. If your 3 year old is thirty minutes late for her nap and she is telling you she doesn’t want to go potty, now is not the time for being a stickler to your one warning rule. “I know you don’t want to, but you need to.” Now is the time to be patient and understanding. Once your child turns three, she is old enough to start to have moral training–to know “why.” To start to train her heart, not just her habits. See Preschoolers and Discipline: Explain Why. Train during times of non-conflict why it is important for her to obey Mommy. Explain that you are trying to help her to learn and grow. Explain that naps are important and why. Explain why we take baths. Fill her in on it. It doesn’t need to be a secret. 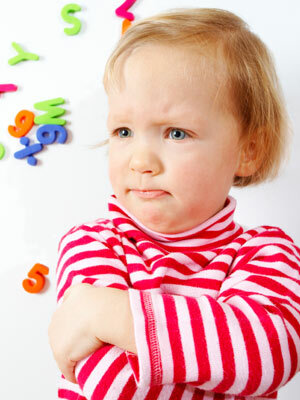 Most 3 year olds should be obeying about 70% of the time. 4 year olds are probably 80%. This means sometimes your child will disobey. But if she is saying no or refusing more than these percentages indicate, it is time to evaluate the situation. Is she feeling Wise In Your Own Eyes? See also The Choice Addiction (for Toddlers) . For the preschooler, you give your instruction. Depending on context, you might repeat, and you might not. If you repeated and she still said no, you move on to removing privileges. You can remove TV, friend time, video game time, toys, etc. Remember to think about the context of her saying no. What did she say no about? Can you tie a consequence into that circumstance? If Brayden tells me no, I only have to look at him and say, “You do NOT have the freedom to tell Mommy no.” That solves it. If it were a persistent problem, I would take it more seriously. If it were a persistent problem, I would look into the child’s freedoms and also work on the moral training. She is old enough to understand why we do what we do. She might not like it, but she can understand why. With this age you give your instruction. You still need to take into consideration context. You need to consider context so long as the person is breathing–always consider. Based on your context analysis, decide if it warrants immediate action or a gentle reminder. If immediate action is needed, remain calm. Remain full of empathy. Don’t lecture or get mad. Inform the child that it is too bad she decided not to listen, and now she has lost xyz privilege. If she cries, sympathize about how sad you know it is and how you wish she could have xyz privilege, too. At another time, during non-conflict, talk about the virtues she is showed a lack of. I would approach it as “these are the virtues you are missing.” Perhaps you could find a scripture story or another story that illustrates the virtue. Read it to her and talk about what the story talks about. Talk about ways she could show that virtue. The above are some ideas of how to react when the “no” comes your way. It is most effective, however, to strive to prevent such things. Despite your best preventing, nos will happen, but hopefully less often and with less problems if you have done some prevention before hand. Give your child a five minute warning before an activity will end or before a dreaded activity will begin. “Hey Kaitlyn” pause for response and eye contact “In five minutes it is time for nap.” This will help prevent the “nos” when it is time to transition. Some children have a harder time with transitions than others, and for those children (like Brayden), a warning is vital. “You can walk to the bath or I will carry you. Which do you want?” If your child doesn’t choose, you choose. You choose carry, and you follow through on the carry. Now, children are going to say no to you at times and try to avoid doing what you have told them to do. That is normal. Kids make mistakes. Sometimes when my kids say no, I pretty much ignore it. Just this morning, Kaitlyn told me no when I told her it was time for a bath. She told me she didn’t want to. I told her that yes, it was time for bath, went in the bathroom, and started getting things ready (read: I gave her a chance to surrender with dignity). She followed me in about one minute. I don’t want my children feeling like they are unable to express themselves at all. So I look a lot at the intent behind the no. Is it in order to be defiant toward me, or the way they can express, in their limited vocabulary skills, that they don’t want to do something? I have no problem with them not wanting to do something like take a bath. So long as they do it anyway. The love of such things comes and goes. Sometimes I don’t feel like showering, either. But I will also take opportunities to teach them the better way to communicate things. I will tell them what about the statement was not okay and what they should say instead, and have them repeat that. If the intent is showing signs of problems, I know I have a bigger issue than just what to do at the moment the word “no” is said. I have a heart issue-an attitude issue. This is something logical consequences, time outs, whatever will not fix. This is something moral training fixes, and that takes time. That doesn’t mean no consequence should come. Sometimes, however, merely being required to do the thing they don’t want to do anyway is the consequence. I know that some of you who are in groups with me online have heard me share this phrase. It is from one of my church leaders. It is “Say yes when you can, no when you must.” I plan to write a post expounding on this more, but I think you can see the basic point. As age appropriate, say yes as often as you can. If all your child hears is no, that is what she will learn to say and it will also be a cause of much frustration for her. Wow what a great post! And timely since my DD is 16 mos and really loving "no" these days. It's her response to every request, even if her actions say "yes". It's cute (for now I suppose) – she will even go up to stuff she shouldn't touch like outlets, wave her hand at them and say "nooooooo" and look at me to confirm. I say "that's right, that's a no" she'll nod her head yes and say "noooooo" and go do something else. Very cute. Even though I have to watch closely since sometimes she'll start touching the things as she demonstrates and I have to step and and redirect. Testing, testing all the time! Okay, so my 13 month old has a temper. What do you do when you tell them no and they act like it's the end of the world and throw a huge tantrum? Distractions seldom if ever work, unless I give him something he shouldn't have (like the TV remote), and that defeats the whole purpose of the lesson I'm trying to teach him. Should I just put him in his high chair as a time out, and leave him there until he calms down? My only concern is that he gets so mad that he'll cry for quite awhile. Any thoughts? This is an excellent post. I love the way that you tie it all together and that you're working on expanding on moral teachings along with their obedience. I appreciate all the advice!! You are welcome everyone! I am glad it was helpful. Great post! I especially liked the perspective section.